Binder for lime & dry distemper. Easy to use, No heating required. Doesn't allow lime & dry distemper to come off the wall and binds them. 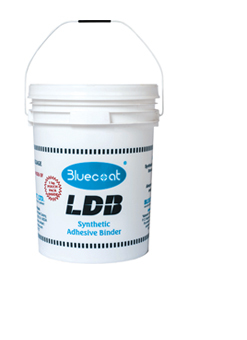 Minimizes peeling & cracking of lime wash.
Give smooth finish to the lime wash.
LDB is a synthetic adhesive binder for lime & dry distemper. Can be used in preparation of Putty.